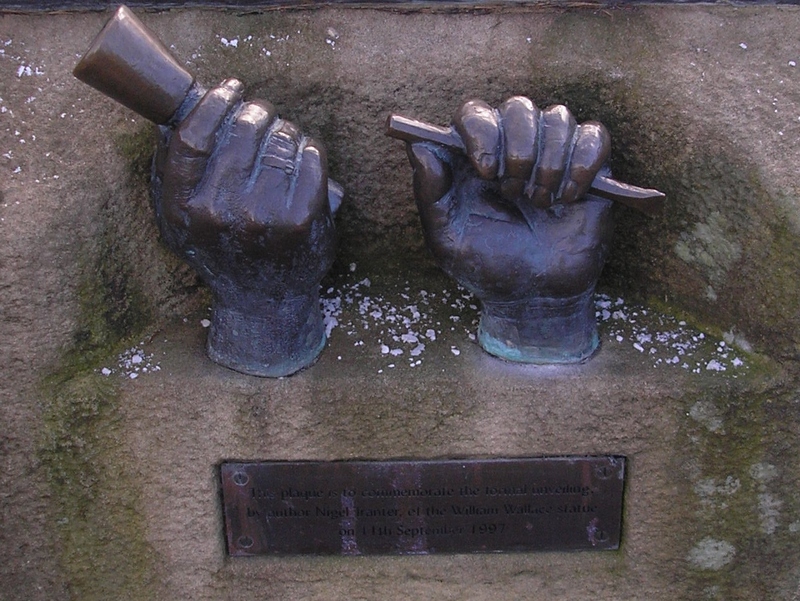 perhaps one of the most controversial pieces of public sculpture in Scotland. 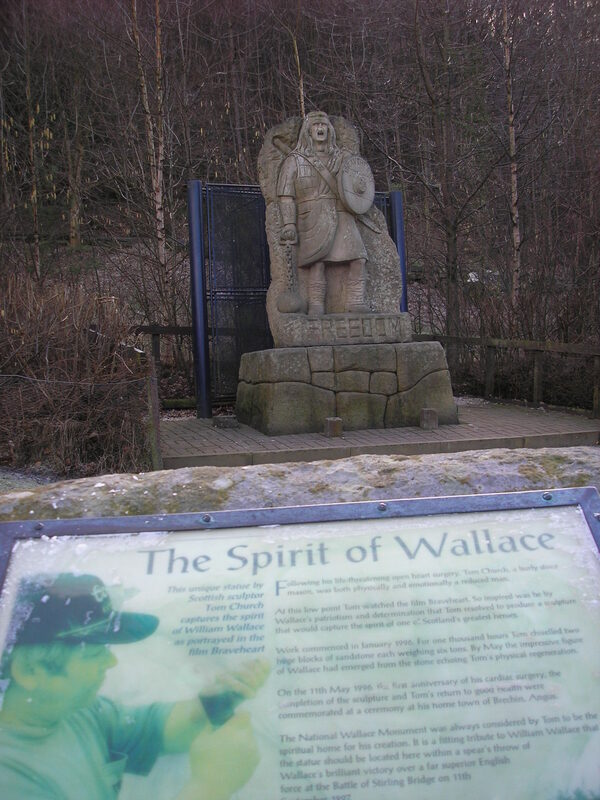 Unveiled in 1997 by Nigel Tranter, the piece portrayed the figure of William Wallace, at whose feet was the head of the Governor of York. The piece provoked a strong ‘marmite’ response, to the extent it was vandalised (the head of the Governor of York is still to be discovered !) on sufficient occasions to merit it being closed in a metal cage every night. It would appear that those strong negative responses largely stemmed from the remarkable resemblance between the sculpture of William Wallace and the actor Mel Gibson in the 1995 movie Braveheart. However, the likeness was in all probability in part derived from the circumstances of its production. Following heart surgery, during recovery sculptor Tom Church, watched Braveheart, and was inspired to create the piece from 12 tons of sandstone. 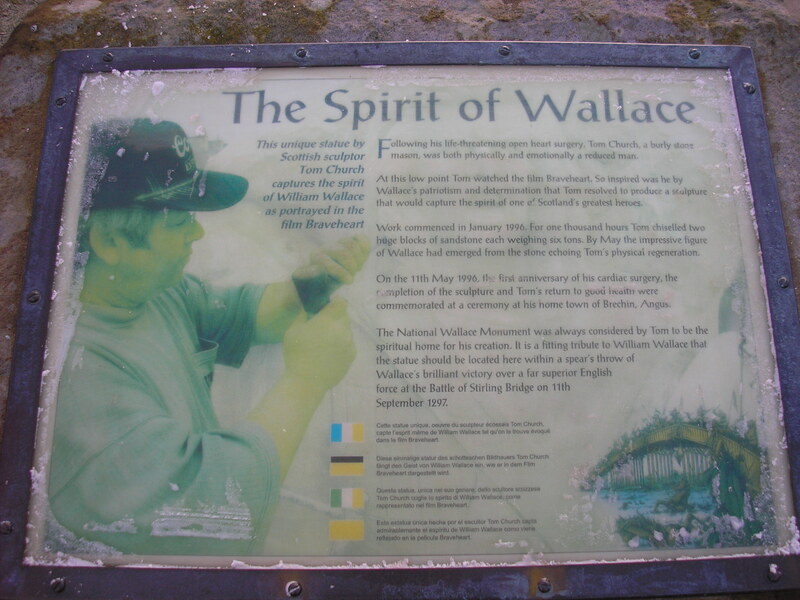 The piece stood at the foot of the Wallace Monument for ten years before being removed in 2008. It now resides as the center piece of a remarkable display at the sculptors house in Brechin which can be seen in an interview. the scope of imagination inherent in all art forms. Above all, however, it shows how an acute sense of the past can inspire an individuals creativity. 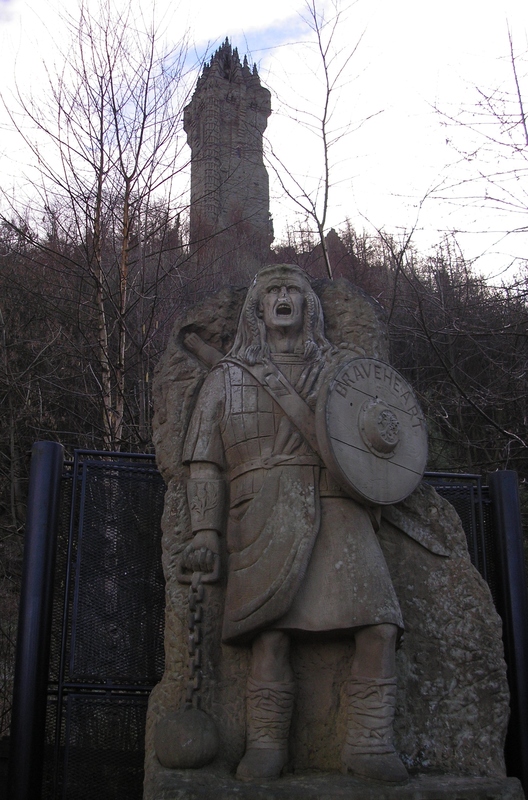 This entry was posted in Creativity, Heritage and tagged art, creativity, Freedom, Heritage, inspiration, Sculpture, William Wallace by gmacg1. Bookmark the permalink.